With the Kingsburg Festival just around the corner, I've spent the majority of my weekend creating! It has been wonderful! 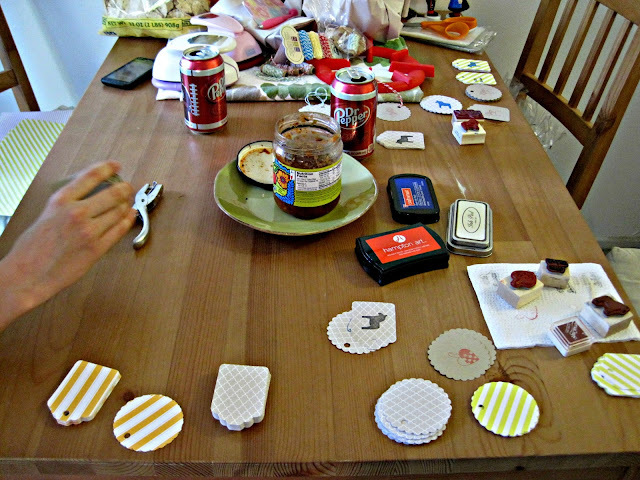 I am really enjoying the creating process for this fair, more so compared to the prepping/creating for the Lucia fair. I think I'm not putting as much pressure on myself for this one and going into it with an attitude of, "Hey, if I don't sell it, I can keep it for myself!" 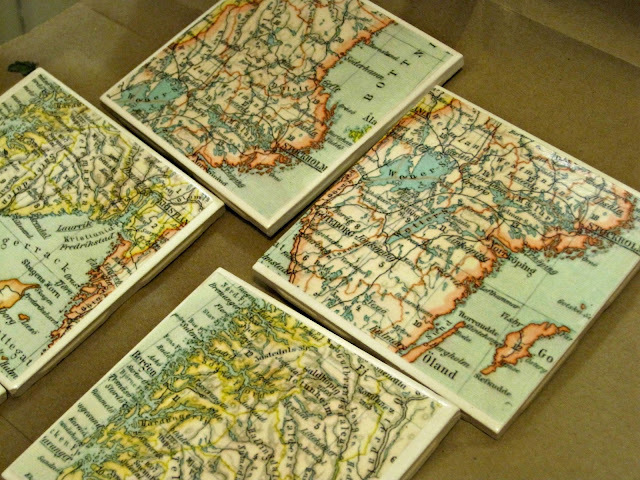 My newest project has been tile coasters. They're a little tedious to make, but I think they're turning out pretty awesome (not to toot my own horn or anything...). I transferred different images onto kitchen tiles, coated them with polyurethane, and still have to add a layer of cork to the bottom. And voila! Neat little coaster sets. One of my favorite sets by far are the vintage maps of Scandianvia (shown below). And seeing as Ryan is quite a geography nerd, I will definitely be making us our own set after the craziness of the fair. 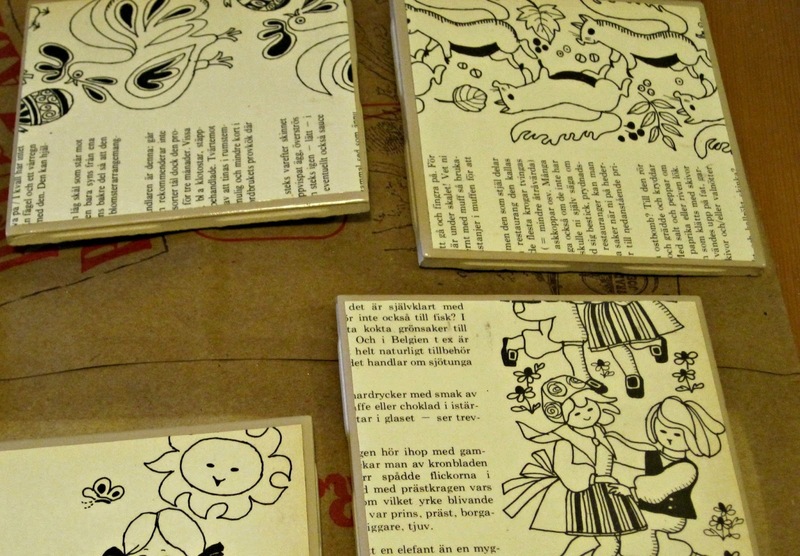 Other favorites include these whimsical designs I got from a modern Swedish cookbook I own. 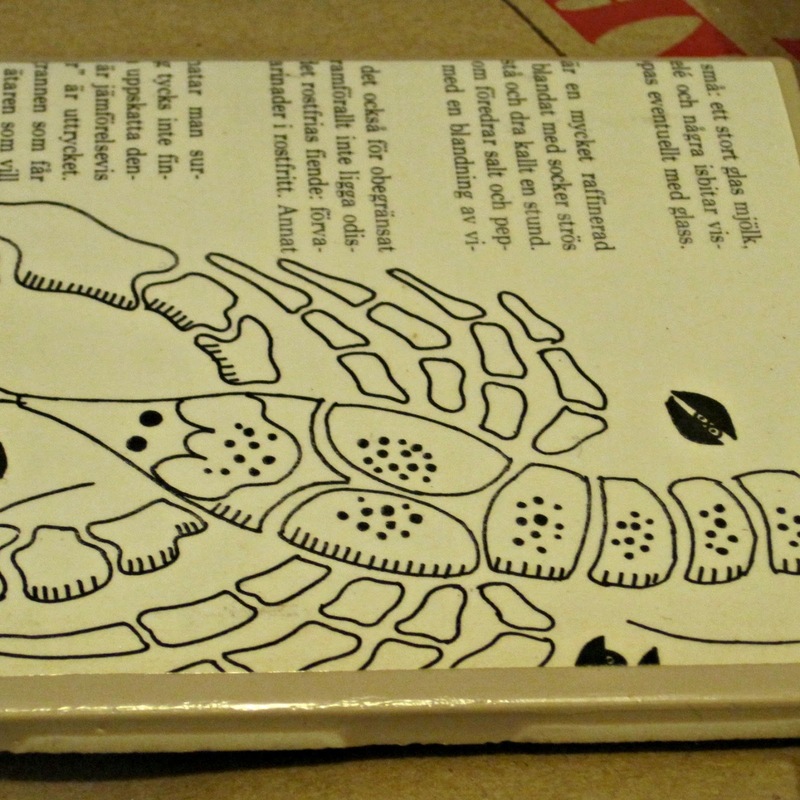 And, these images from a vintage Swedish cookbook I scored at a second-hand store for 50 cents at a fair a couple years ago!! I couldn't help but think while I was making all of these how handy they will come in for Fika Fridays! All in all, it has been a very productive weekend. I am feeling great about the progress I've made and am now trying to brainstorm ideas for decorating the craft booth itself. We have to provide our own tables and such, so I am trying to figure out a good layout along with some cute decor. Any ideas welcome! It was a non-traditional fika of sorts, but a fika nonetheless. Caryn (my older, wiser, and very helpful older sister), helped me get some crafting done for the Kingsburg Festival in just a few weeks! The table was covered with all sorts of crafting items, but we made room for our impromptu fika of Dr. Pepper and chips and salsa. Desperate times call for desperate measures. Thanks again for helping, Caryn!! What did you do for your fika this week? These Midsommar crowns are made from silk flowers and floral wire. From some readers' suggestions, I'm making some to sell at the Kingsburg Swedish Festival (in less than a month! ah!). I think my favorite ones so far are the blue and yellow ones (shown below on the right). Pricing things is always a bit tricky for me. How much do you think I should sell the crowns for? 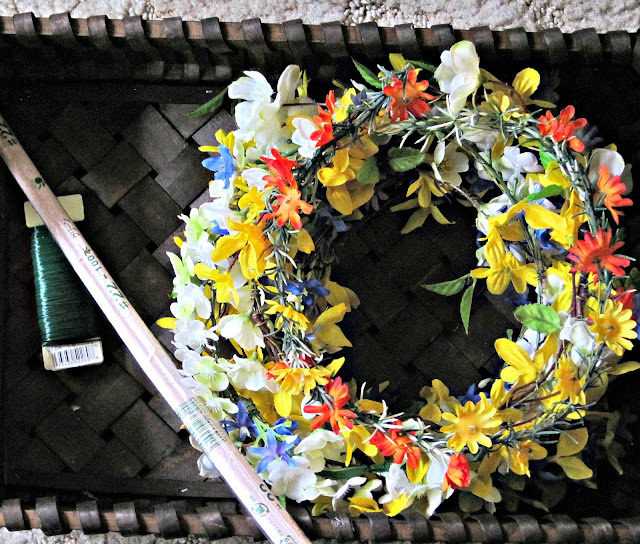 At the Cal Luthern Swedish Festival last weekend, they had a "make your own" Midsommar crown booth with fresh flowers (carnations, greens, and baby's breath) for $3. 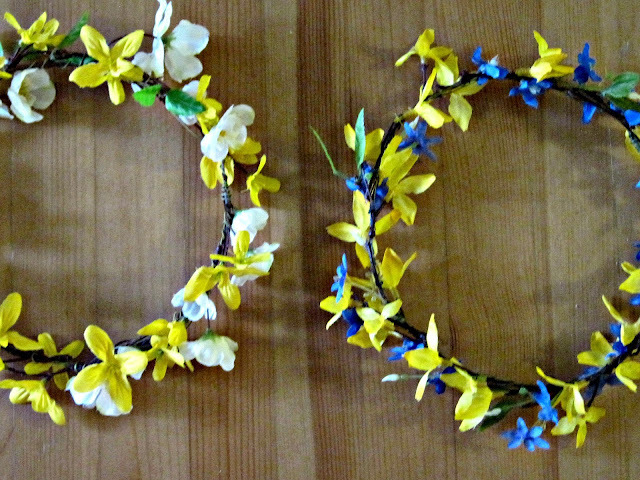 The crowns I made cost about $3-$4 in supplies, not including time spent on putting them together. Suggestions? Oh fika. I love you. 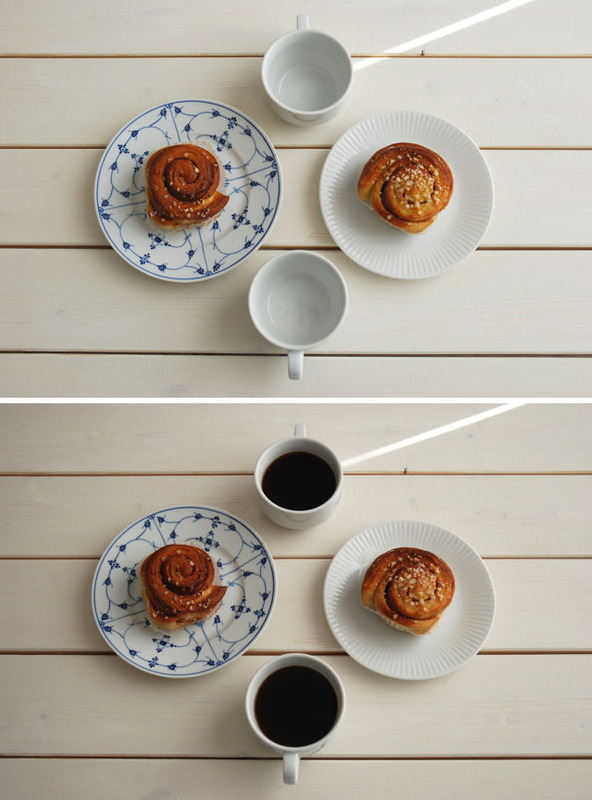 For those of you who don't know, fika is a Swedish word that translates more or less to "coffee break". When I studied in Sweden, my afternoon class would halt mid-way through and we would all go to the cafeteria to partake in a cup of coffee and special baked treat for about 15-30 minutes. Then, we would go back to class. Best tradition ever. There's just something about making an active effort to take 15 minutes in your day just to relax, regroup, and enjoy life. The Swedes know whats up. My favorite fika of the week is shown above. Toffee cookie bars (from Betty Crocker's 1963 Cooky Book) accompanied by some French pressed coffee. Mmmmmm. 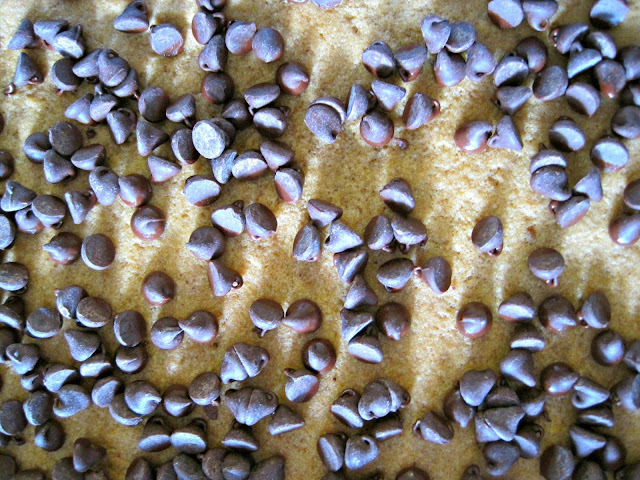 Chocolate chips sprinkled when the bars come out of the oven...then they start to melt and you spread them over the bars. 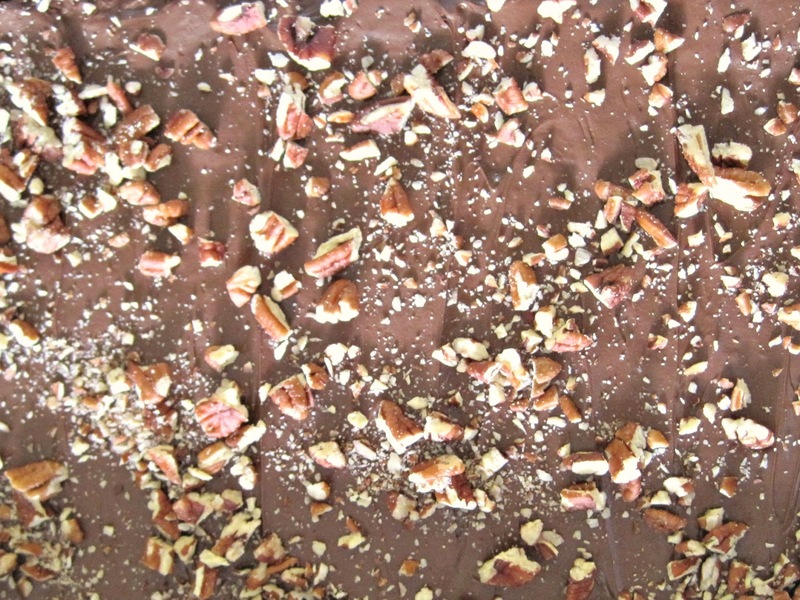 Add a few sprinklings of chopped nuts (I used pecans). And there you have it, happiness in a 9 x 13 pan. I would love to hear how you all enjoyed fika this week! At home? Out at a cafe? Alone? With friends? Exciting news, everyone! 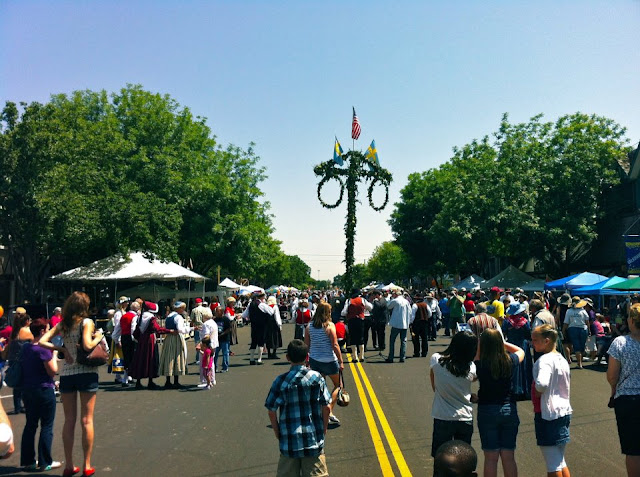 The annual Kingsburg Swedish Festival is only 31 days away! There will be a Dala horse trot 5K, a pancake breakfast, a parade, craft booths, and much, much, more! Just yesterday, I signed up to have a craft booth at the upcoming festival and I am racking my brain for ideas of things to make...any ideas?! I have a few leftover items from the Lucia Festival last Christmas, but many of the items are Christmas-realted and I'm not so sure how those will sell. I'm trying to come up with some cute, Scandinavian, spring-y/summer-y crafts...any and all ideas welcome! 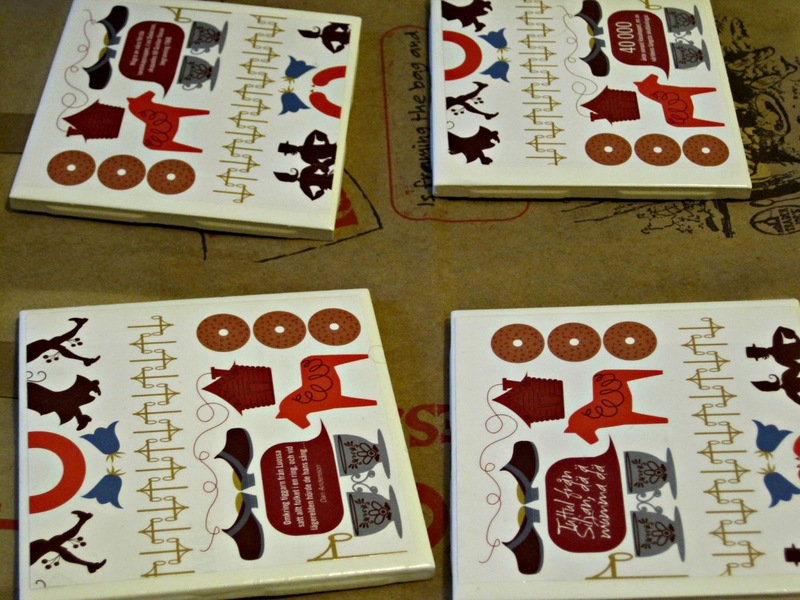 So far I will have: Swedish ribbon headbands, stenciled-onesies (with viking hats and Dala horses...same as Lucia fair), and prepackaged sets of gift tags. I'm toying with the idea of getting some T-shirts printed. Thoughts on what it should say/look like if I do order some? What kind of stuff would you buy? As some of you may know, I have a little obsession with coffee. 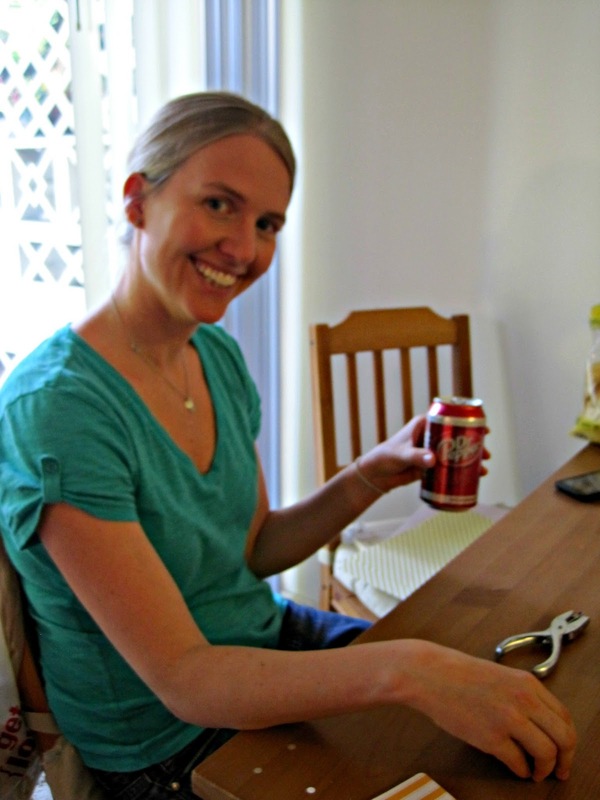 In Sweden, it's common to take a fika break everyday (pronounced fee-ka). When I studied in Sweden, it was by far the best part of the day. 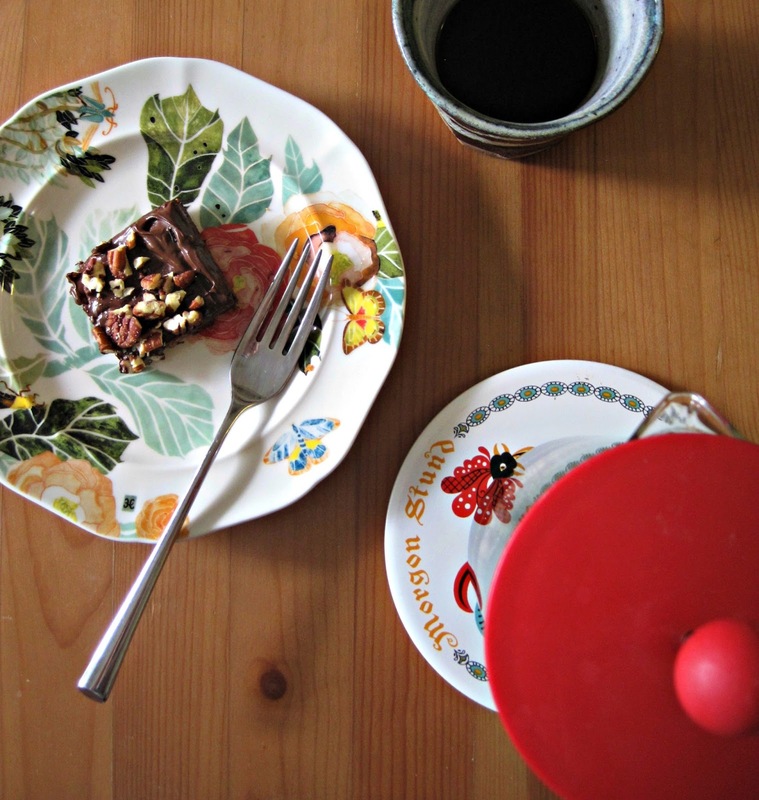 Nothing compares to a dark cup of Swedish coffee alongside a home-baked treat. My mouth is watering just writing about it. So in honor of this Swedish tradition I love so much, I am going to start Fika Fridays here at the Pickled Herring. I will post a picture of my favorite fika of the week and take a minute to enjoy the peace that 15 minutes of coffee adds to my day. Back in college, my roommates and I started this very tradition of Fika Friday [at four]. We would bake tons of little treats and brew copious amounts of coffee (I actually had a 40-cup coffee urn...many times we had to even brew more!) for our fellow friends and students and invite everyone over to partake in a little friendly fika. By our senior year, we had over 80 people at our ending "Fika Finale" day. I have many fond memories of these fika Friday days.